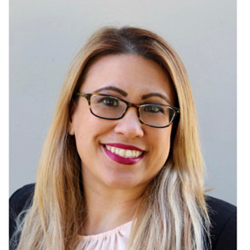 Board members at Palo Alto-based non-profit Hand in Hand Parenting are proud to announce Noelani Pearl Hunt as CEO. “I’m excited to lead Hand in Hand Parenting as CEO while we continue the important work of building resilient families. We will continue our dedication to reaching parents in diverse communities globally.” Ms. Hunt said. The Board of Hand in Hand Parenting, a Palo Alto-based nonprofit, is proud to appoint Noelani Pearl Hunt as CEO, effective immediately. “I'm delighted to have Noelani leading Hand in Hand Parenting. She is eager to actively build on the 30 years we've served parents, and her commitment to changing parenting, and changing the world, is unshakable,” said Patty Wiper, Founder of the organization. Hand in Hand Parenting works globally to improve the lives of parents and children. Their mission is to support parents when parenting gets hard. Their approach offers tools and strategies that support parents through challenges to raise resilient, emotionally secure families. Ms. Pearl Hunt is fueled by a belief in the fundamental right of equality for all. She joined Hand in Hand Parenting in 2018 as CEO-interim. “She worked tirelessly in 2018 to make it a good year for Hand in Hand. She has used our approach from Day One in her family, with remarkable results. Now, she will build our growth by establishing win-win relationships with parents, donors, community-based organizations, and foundations,” Ms. Wipfler added. Currently Vice Chair for the non-profit Building Peaceful Families, Noelani is also the first Filipina American to be elected to the Santa Clara Unifed School District Board of Education. In 2015, she was awarded “Most Influential Filipina Woman in the World,” as well as Silicon Valley Business Journal’s “40 under 40” award. She was also inducted into the East Side Union School District Hall of Fame. Now Ms. Pearl Hunt will draw upon her business acumen, the ability to reach out widely, and her successful fundraising experience to spearhead growth and reach more parents at home and internationally. “I’m excited to lead Hand in Hand Parenting as CEO while we continue the important work of building resilient families. During the last year, Hand in Hand Parenting changed the lives of parents and children all over the world. As we look forward to the next 30 years, we will continue our dedication to reaching parents in diverse communities globally,” Ms. Hunt said. Board Chair John Heltzel says her devotion to the role and the boundless energy she brings will guide Hand in Hand Parenting as it extends its global reach. "Noelani is a bright light at Hand in Hand, showing her tenacity and energy in all parts of the organization. Her dedication and love for parents worldwide will take Hand in Hand Parenting–and the world–to the next level of connection and relationships," he says.